We work down below so that you can work up above. 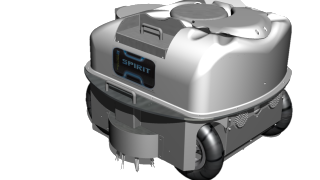 Purifad is the first company in the world to develop a robotic raised floor maintenance system! As a result, our service technicians boast the fastest turnaround times in the industry. 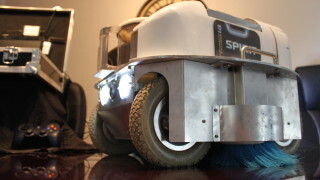 Purifad’s proactive maintenance strategy includes robotic raised floor cleanings and inspections. Together these are used to help curb instances of negative complaints involving a facility’s UFAD System. Open strategic tiles to ascertain the level of particle accumulation beneath the occupied zone. Also inspect diffusers for wear, accumulation, or any particular damage to the equipment. The cost of HVAC system maintenance is very small in comparison to the potential costs related to poor IAQ issues and their related fallout. Purifad identifies areas where the facility may be experiencing IAQ issues and develop a maintenance plan for dealing with those issues, including both corrective and long-term preventive measures. Purifad Inspectors examine the cleanliness of the plenum below the “occupied zone” of a UFAD System. Our inspectors determine if performance of the system is compromised due to contamination and/or buildup. They then search for signs of obstructions, vermin, debris, dust accumulation, excess moisture, potential leakage areas and microbial contagion within the plenum. Data collected from inspections is then used as a tool for Purifad Inspectors and Property Managers to determine if more assertive maintenance is necessary. 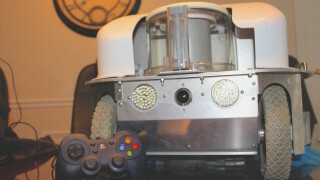 A standard robotic inspection is conducted one year following plenum cleanings to ensure that the UFAD System has remained clean and operational. Below is an example of a 5-Year Maintenance Schedule that includes a biennial cleaning recommendation and yearly follow-up inspections. Facility managers are given up to the minute access to all of their project information via web-portal. Service information is categorized and uploaded per area and can include everything from pictures of potential issues to inspection notes. Purifad provides facilities with the ability to choose the combination of inspections and cleanings that best suit the needs of the facility. Unlike highly visible items, such as carpet or lighting systems, most HVAC systems are out of sight and out of mind, until something goes wrong. And when something does go wrong, it is too late for maintenance to be performed efficiently. Maintenance at that point becomes less cost efficient and reactive. HVAC systems in typical commercial buildings are responsible for more than 40 percent of total energy use. Keeping HVAC systems running properly and at peak efficiency is the first step in managing facility energy use. Proper maintenance of HVAC systems requires careful planning and forward thinking, both of which become lost if maintenance is considered nothing more than an overhead expense.